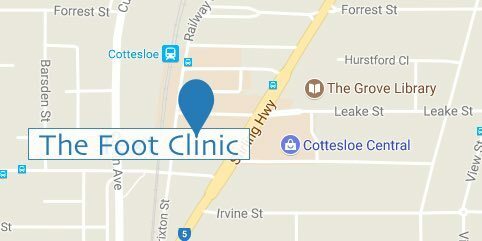 common foot conditions of our Perth clients. Heel pain or ankle pain can be caused by a number of things and we recommend to see your podiatrist for a diagnosis. Toe pain and forefoot pain can stop you from going about your day-to-day routine. Knee pain can heavily impact your daily life and stop you from doing sports, working or moving around freely. Osgood Schlatter or Osgood Schlatter’s Disease, is a big word for painful knees in adolescents. Posture problems can impact the way you move, use your feet, and cause pain and discomfort over time.